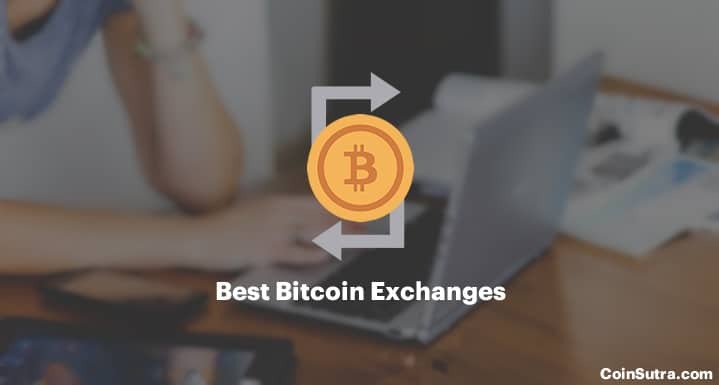 If you search for “Best Bitcoin exchanges“, you will get overwhelmed with the options available. But this exclusive guide will help you pick one of the top Bitcoin exchanges around the globe to do business with. Most of these exchanges accept money by wire transfer & the best part is, you can use them from any part of the world (as long as Bitcoin is not illegal in your country). 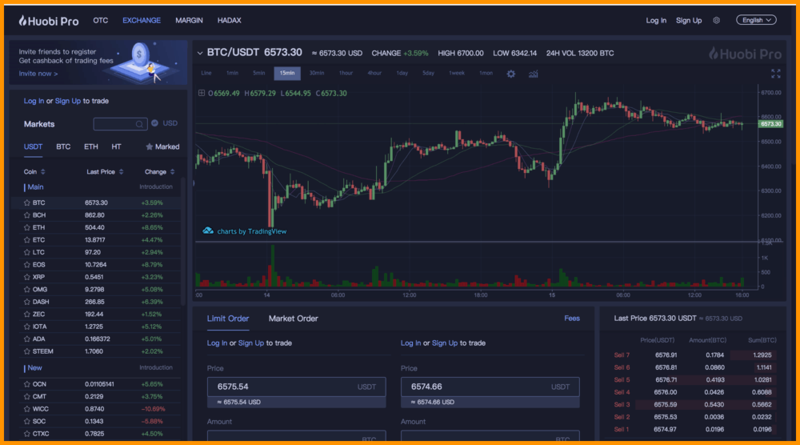 So without further ado, let’s look at the best Bitcoin trading platforms to help you buy and/or sell Bitcoin. 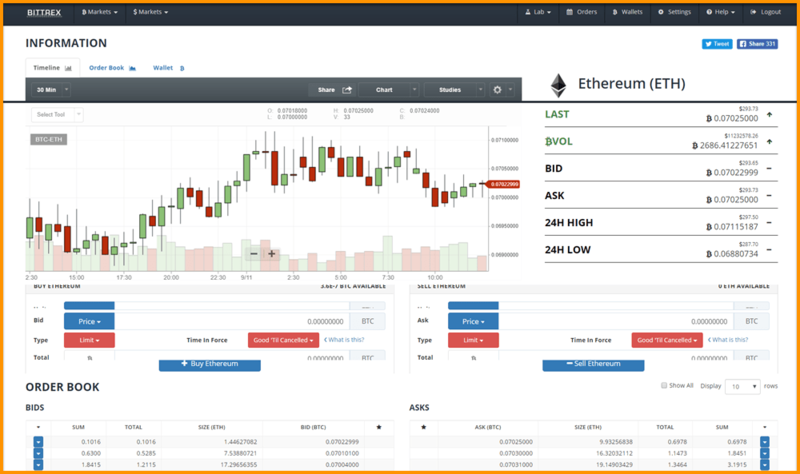 Bittrex is my favorite Bitcoin exchange because of its clean design and easy usability. It is a US-based cryptocurrency exchange that provides you the option to trade more than 190 cryptocurrencies at a time. They are well-regulated and compliant with all of the current US rules, so crypto users need not worry about the safety of their funds. Bittrex is a “crypto-only” exchange, meaning it doesn’t allow you to deposit fiat currencies such as USD, EUR, GBP, etc and their fee schedule is flat 0.25% for all. 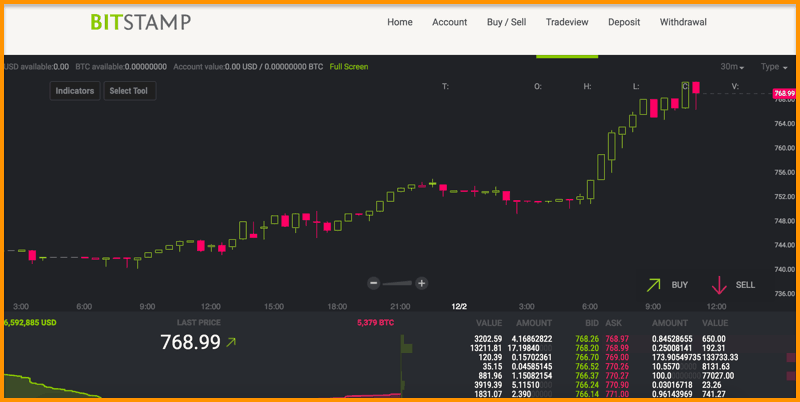 They also provide access to advanced trading tools like candlestick charts and crosshairs, but the user interface is quite clean and intuitive, so newbies should have no problems. Since its ICO to till date, it has grown tremendously and is now placed in top 10 Bitcoin exchanges in the world. Binance being a centralized exchange has taken a unique take to expand its business and also provides a decent discount for day traders. Binance’s fee structure is also unique. To start with they have 0.1% standard trading fee which is already quite less than other peers. 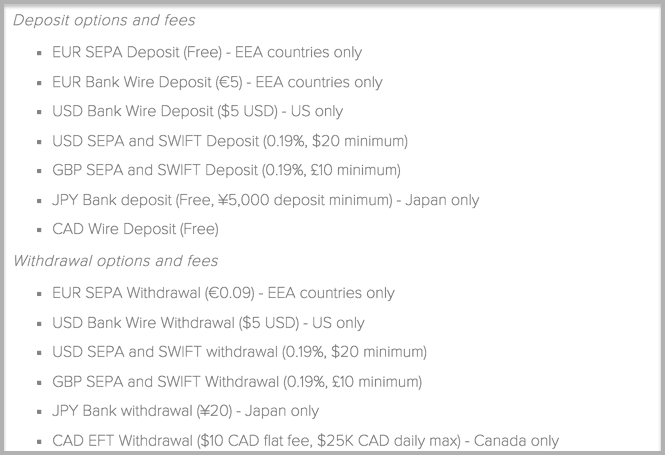 You can even reduce your fee further if you pay your trading fee in BNB according to the below-shown structure. BNB is Binance Coin which is the native currency of this platform. When it comes to trading volume and supported cryptocurrencies & trust, nothing beats Poloniex. Getting started on Poloneix is easiest as you can deposit any cryptocurrency or USDT (Tether dollars) & start trading. The moment you set-up your account, make sure you enable 2 step authentication before depositing any currency. The exchange supports Stop-limit orders to reduce trading risk. Have 5-minute, 15-minute, 30-minute, 2-hour, and 4-hour candlesticks. Charts are fully Zoomable to cover the complete market history. If you are dealing in Altcoins, this is the best Cryptocurrency exchange for you. Huobi Pro is a leading global digital asset exchange serving global traders since 2013. And now they have realized the shorting comings of decentralized and centralized exchanges and launched HADAX. To make the exchange autonomous and governable they have introduced HT tokens so that’s why in sort they are decentralized governed platform. The volume at the time of writing on this exchange is 4352 BTC which I think is very good with 34 cryptocurrencies/crypto assets listed on it. Kraken is one of the largest Bitcoin exchanges in the U.S.A. Based in San Francisco, U.S.A., with Kraken you can also trade using other cryptocurrencies like Etherium & Zcash. Getting started is easy & takes about 1-2 days for verification. This exchange is open for people around the globe & you can fund your account in various fiat currencies like USD, Canadian Dollars, Yen, and Euros (to name a few) & cryptocurrencies like Ripple, Litecoin, Dogecoin. The first wire transfer will take many days which can be tedious for a new user. However, after the first successful deposit, things will be smoother. Overall, if you don’t mind waiting for a few days to get started with Bitcoin trading, Kraken is a great option. This is another popular Bitcoin exchange that claims to be the first fully licensed exchange. You can buy bitcoins using your credit or debit card. Their interface is prettier than Kraken, and they offer an iOS & Android app so you can trade from your smartphone. You can see their list of fees here. A bank wire transfer typically takes 2-5 business days, and a SEPA transfer takes 1-3 business days to reach your Bitstamp account. 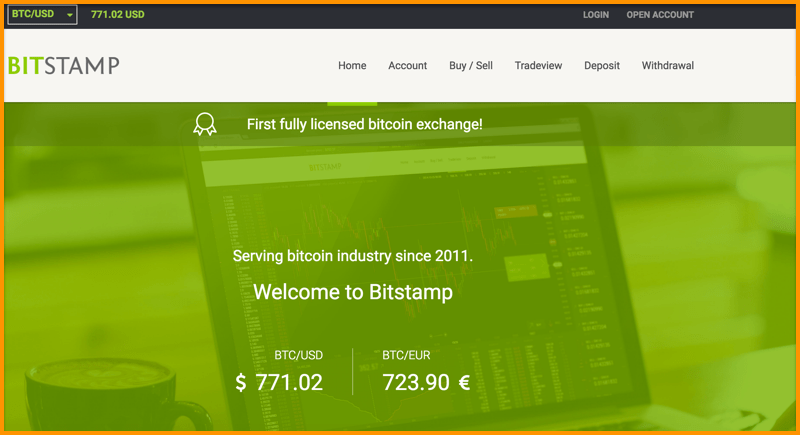 Bitstamp is best for traders who are looking for an advanced exchange for buying/selling bitcoins to make a profit. Gemini is another great Bitcoin. Gemini is based out of New York City & also operates in North America, Europe, and Asia. They offer individual accounts as well as institutional accounts. Their price is competitive & their interface is easy to use for beginners. I had a talk with their team regarding opening an institutional account & they are a very friendly company to work with. 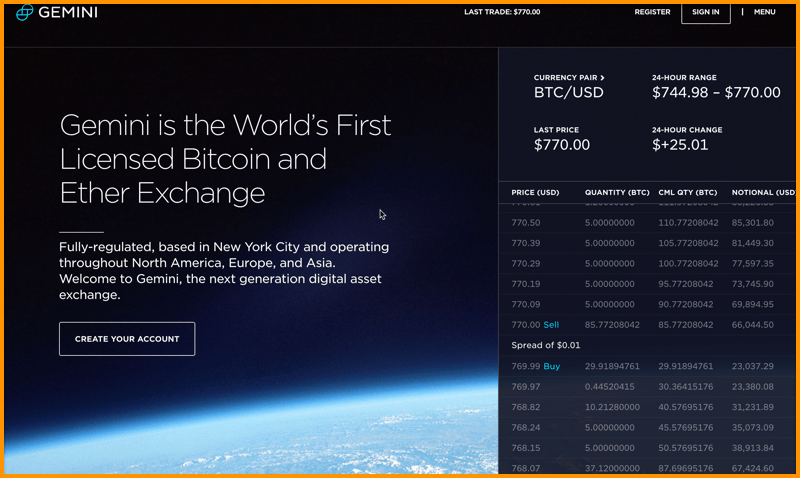 If you are looking to open a corporate account for Bitcoin trading in the U.S.A, Gemini is a great option. 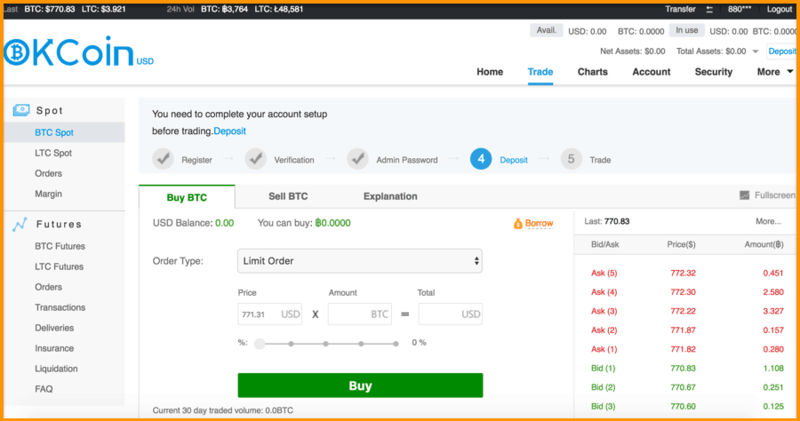 OKCoin is another Chinese Bitcoin exchange that lets you trade in USD. They have great support & an easy to use interface. The verification process takes about 2 days & once you are all set, you can deposit money using a wire transfer. 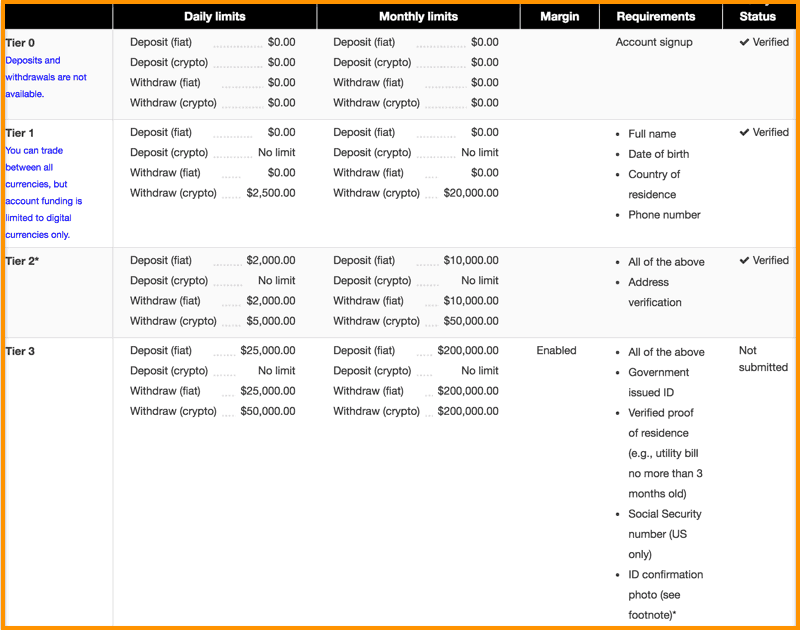 Wire transfer fees are 0% & they even offer a dedicated account manager. You can also deposit money using PerfectMoney (with a 3% fee). Coinbase is one of the U.S. popular bitcoin exchanges. They have one of the neatest interface & you can also use their iOS & Android app to buy Bitcoins or Etherium. The operate in many countries & getting started with them is easy. 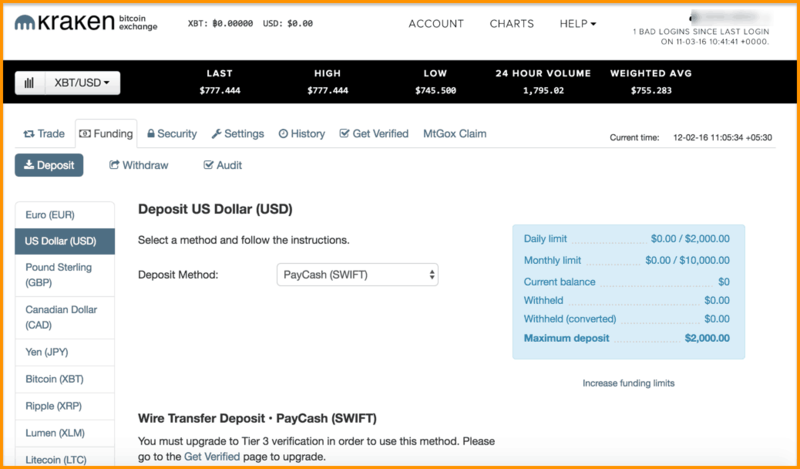 I have already shared a detailed guide on how to use Coinbase for buying Bitcoin over here. Once you signup for Coinbase using the link below, you will get $10 bonus once you have done a transaction of $100. This is free money so you might not want to miss this offer. 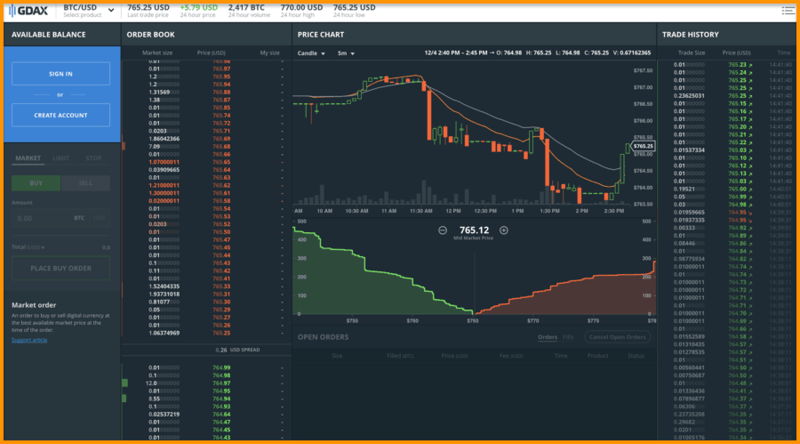 While Coinbase is good for buying & selling Bitcoin but if you are into trading, you need to go to GDAX for their official exchange. 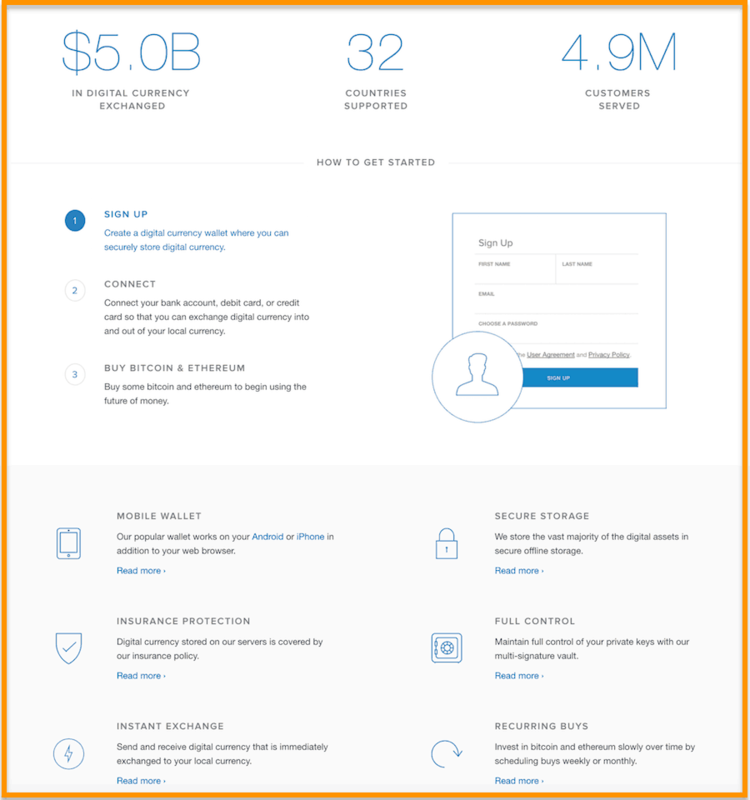 You can use your existing Coinbase login to get started. As I said earlier, every day, new Bitcoin exchanges are coming online. We can expect to see more and more of them with even better features for end users like you and me. Don’t use these Bitcoin exchanges as a wallet. They are good for trading, but if you need to park your bitcoins, either use a mobile-based wallet such as Coinomi or buy a hardware wallet like LedgerWallet or Trezor. Any wallet that lets you store your coins offline is the best and most secure. I will talk about securing your bitcoins in upcoming posts, but for now, let me know which Bitcoin exchanges you’ve used and what your experiences have been like. If you find this guide useful, do share it with your network! How can we send wire transfer in usd from india..
For that, you need to use a current bank account. With Saving account, you can send money to your friends or family only. The Arbitrage opportunity is definitely there & you can wire money outside using current account only. For this, you need to visit your bank branch. From personal account, you can wire money but to your friends, family, education or for few other specific purposes. what about zebpay ?? is it secure ?? It is good. However you should always store your Bitcoins on your personal wallets like MyCelium or better use a Hardware wallet like Ledger Nano S.
can i buy bitcoin from my debit card?? I am looking forward to buy ethereum from kraken via wire transfer from India.Do u think it is a good option or should I buy bitcoin from btcc and trade it for ethereum.Which is better option kraken or btcc in terms of fees and ease of trading and withdrawal.Hoping for your reply. You can do smaller transaction with both & see which one works out best. Kraken is trusted & so is BTCC. I have used BTCC in the past & had no issues. However, in between BTCC halted withdrawals due to Chinese regulations, so you might want to ensure that’s not the case anymore. What do you think is the best way to buy ethereum from India other than ethexindia. You can try CEX.io also. They allow you to buy BTC and ETH using credit/debit cards. In the list about you have mentioned about xbtce but have not written anything about it. Is it safe and did you personally had any experience with them? As you said “Don’t use these Bitcoin exchanges as a wallet”. Do you know top Ripple XRP wallets which are safe and secure? Ledger Nano S is the most secure wallet for Ripple. Do you have any suggestion for use case like instantly selling BTC and ETH? The workflow should look like that I’m sending some BTC or ETH to exchange and it gets sold instantly and fiat currency (USD or EUR) is sent to my bank account. Can you buy Bitcoin from say Bitstamp, store those coins on Keepkey and then sell them on Coinbase? Yes, you can do provided Bitstamp and Coinbase serves your country. I need to know that at which exchange I can deposit fiat money like USD from my bank account in India with lowest involved fees. Please share all the exchanges. Why you want to use that when you have so many other options as listed above. I would like to use indian exchanges becasue I cannot find any way to deposit fiat to the USA based or other foreign exchanges. Is there anyway to deposit fiat to these exchanges? Please let us know. You can create a current account under a business name and then transfer fiat to an International exchange like Bitstamp. Alternatively you can also use Cex.io or CoinMama and buy using Debit card. Wow… I am feeling luck to stumbling into your site. Very informative and educative. Please I have a question and mostlikely more.